Linda Mason is willing to sell this fantastic piece of art. This is a beautiful drawing. Truly a skilled artist! A true testament to your amazing talent! this one really shows the viewer a story. this is great. very unique you are a very skilful artist... check out some of my work too. truly amazing.. 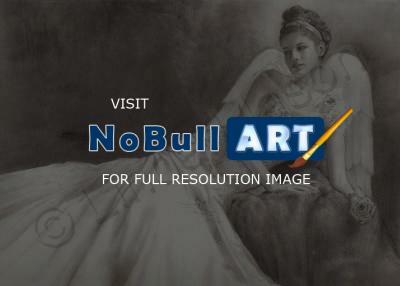 Your pencil work is as delicate as the subject! Great job. Just saw today for the first time. It is fantastic, I love her face.